Author and Tea Party activist Candace Salima says that when then-Attorney General Mark Shurtleff approached her in spring 2009 about publishing his historical fiction novel with her Valor Publishing Group, he told her that he hadn’t finished writing the book—but that he could guarantee a pre-sale order of 100,000 copies. Salima says that the company that Shurtleff told her was willing to buy 100,000 copies of Am I Not a Man? 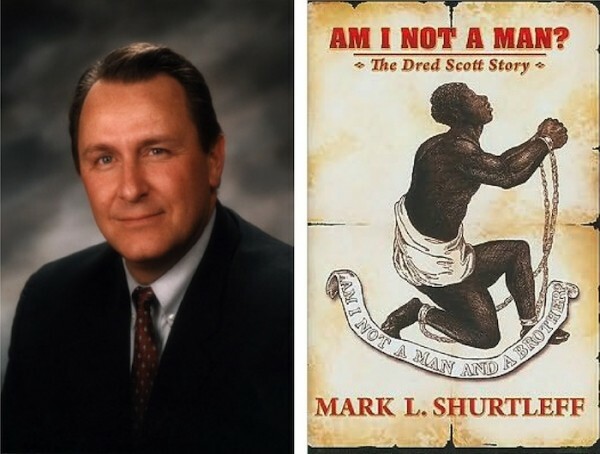 : The Dred Scott Story—which, Salima says, would result in over $100,000 in royalties being paid to Shurtleff—was Pre-Paid Legal Services, a multilevel-marketing company and longtime Shurtleff campaign supporter. At the time, the company was being investigated by the Federal Trade Commission for making misleading statements to its customers. Convicted felon Marc Sessions Jenson says Shurtleff also talked to him in 2009 about his novel while Jenson says he was hosting Shurtleff and his chief campaign fundraiser, John Swallow, at the luxurious Pelican Hill resort in Newport Beach, Calif.
Shurtleff hadn’t yet finished the novel—he was working on it while at Pelican Hill—but, Jenson says, Shurtleff told him that if he bought $250,000 worth of copies, it would net Shurtleff tens of thousands in royalties to put toward his campaign for U.S. Senate. Jenson says he declined the offer. Shurtleff—who resigned last week from Washington, D.C., firm Troutman Sanders, where he’d been working as an attorney, reportedly because of the commute and work schedule—also declined to comment, but has told City Weekly in the past to consider Jenson’s credibility. “Keep in mind who you’re talking to and what we prosecuted him for,” Shurtleff says. Salima had big ambitions for her startup company, Valor Publishing Group, but she also wanted to make sure she had the capital needed to get it up and running. She says Shurtleff approached her in spring 2009—the same time he was gearing up for a campaign for the U.S. Senate—about publishing his Dred Scott novel, and that she agreed to do so because Shurtleff told her that Pre-Paid Legal had agreed to pre-purchase 100,000 copies of the book. Between 2007 and 2010, Pre-Paid Legal was in the middle of an FTC investigation for allegedly making misleading statements about the effectiveness of a product designed to help companies and organizations deal with government security requirements for protecting against identity theft. According to Pre-Paid Legal’s public filings with the U.S. Securities & Exchange Commission, the FTC began investigating the company in 2007. On April 20, 2009, a letter was sent to Pre-Paid Legal from the FTC “alleging misrepresentations in sales materials.” The filings state that the company revised its materials, but the investigation continued, and on Nov. 18, 2009, the FTC forwarded a staff recommendation to the SEC with a proposed complaint seeking injunctive relief. Pre-Paid Legal had long supported Shurtleff’s campaigns. He received $130,000 in campaign donations from Pre-Paid Legal between 2003 and 2008, according to state campaign finance-disclosure records. Shurtleff also received $7,400 in donations to his 2009 Senate race from employees of Pre-Paid Legal, and Shurtleff’s political action committee, the PAC for Utah’s Future, received $15,000 in donations from the company in 2010. Pre-Paid Legal was acquired by a private equity firm in 2011. It was rebranded as LegalShield that year and saw new leadership head up the company. Despite repeated attempts, a representative of the new company could not be reached for comment on this story. 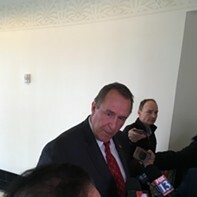 Shurtleff’s publishing deal with Salima fell apart sometime in summer 2009, Salima says, after Shurtleff told her that he’d received a complaint about the deal from his then-political opponent Bob Bennett. Jim Bennett, a campaign worker for his father’s Senate campaign, says they never filed a complaint regarding the book deal, nor had any knowledge of it, but that he’s not surprised to hear about Shurtleff casting blame on his father’s campaign. “Every piece of bad publicity that ever came out about [Shurtleff], he tried to blame on our campaign,” Bennett says. The company that would eventually publish Shurtleff’s book told City Weekly via e-mail that the company had accepted no pre-sale orders of the book before it was published. 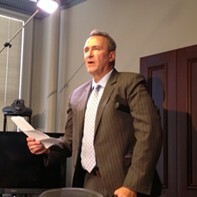 Jenson says Shurtleff frequently talked to him in 2009 at Pelican Hill’s pool and in the clubhouse about the book plan. Jenson says that Shurtleff said that the donation caps for federal races were a problem for donors who wanted to give more to his Senate race, and repeatedly suggested that Jenson buy $250,000 worth of copies of the book. Paul Ryan, senior counsel for the Campaign Legal Center, a Washington, D.C., think tank that focuses on election law, says that federal election laws clearly prohibit people from using side-business ventures as a way of subverting election laws, but that it comes down to evidence and intent. Ryan, who wasn’t familiar with all the details of the case, says that, in general, if a candidate were to profit from a business venture set up solely to benefit a campaign and get around federal donation caps, which limit the amount an individual can donate in an election, it could be a violation of federal election regulations. “On the other side of the same coin, it’s perfectly legal for someone who’s running for office to keep a day job and make money through other economic activities,” Ryan says. The Attorney General’s Office declined to comment for this story. Swallow, who at the time of the meetings in Pelican Hills was Shurtleff’s chief campaign fundraiser, also declined to comment for this story. Tim Lawson, the man whom Jenson paid to lobby Shurtleff on his behalf, and who visited the California resort with Shurtleff and Swallow, previously told City Weekly that the trips were not about campaign fundraising. “The only things we talked about were family, fun, golfing and Mark’s new book,” Lawson said. Editor’s Note: City Weekly originally reported a different number of pre-sale copies and a different royalty estimate from Salima. After a version of this story was published online May 31, Salima told City Weekly that she had discovered that the figures were different than those she’d originally and repeatedly told a City Weekly reporter. The numbers have been corrected in this story.